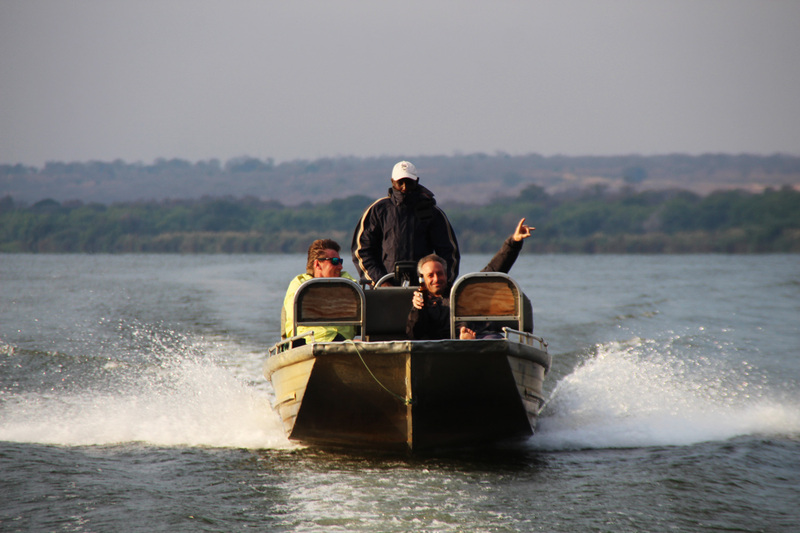 The Sioma Fishing Safari is available for 6 - 10 people during set dates from August to December and takes place in Barotseland but not on the Barotse floodplains. 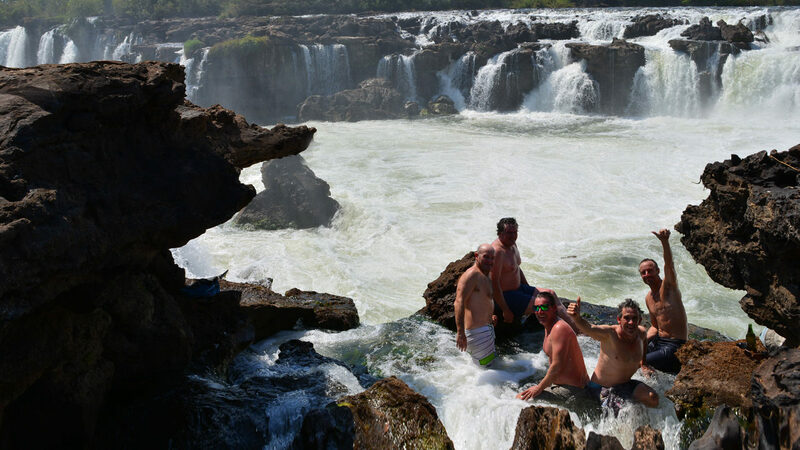 It begins with 1 or 2 nights at Mutemwa Lodge before you set off upriver fishing all day to the Sioma Falls (the second largest Falls on the Zambezi). 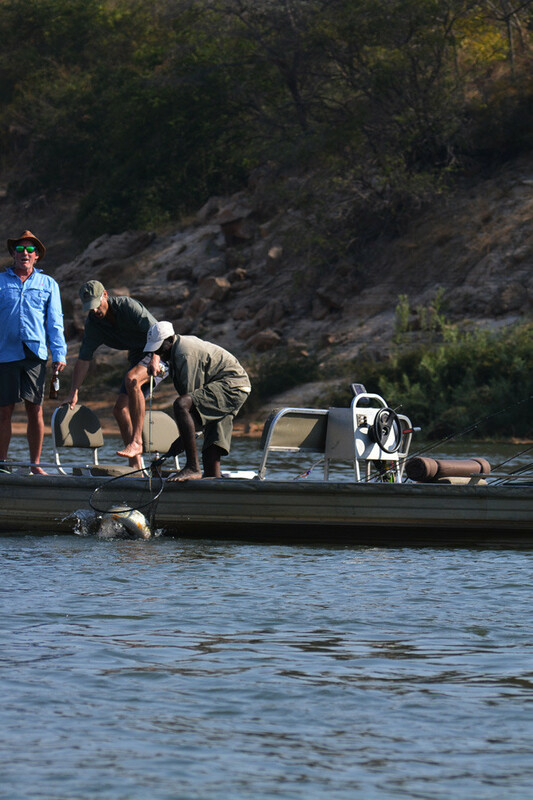 Whilst you are fishing upriver, we drive around and setup a mobile safari camp on a remote beach below the falls where you spend the next 2 or 3 nights fishing the deep gorge water for the large tigers lurking below. 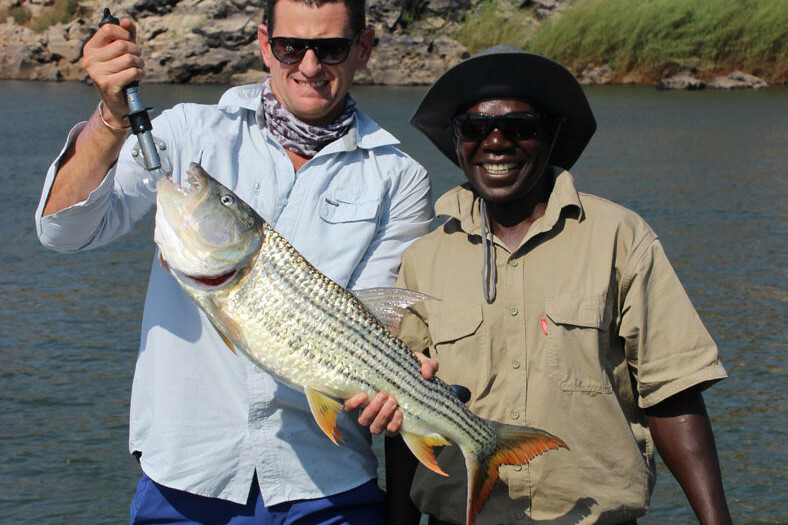 You will then fish all the way back down to Mutemwa for the last night. 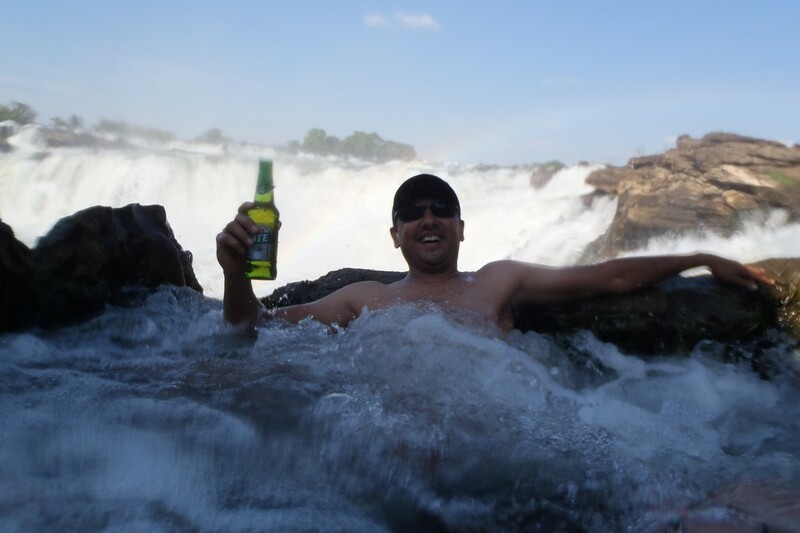 Sioma Falls is 70kms upriver from Mutemwa Lodge and is the second largest waterfall on the Zambezi river. 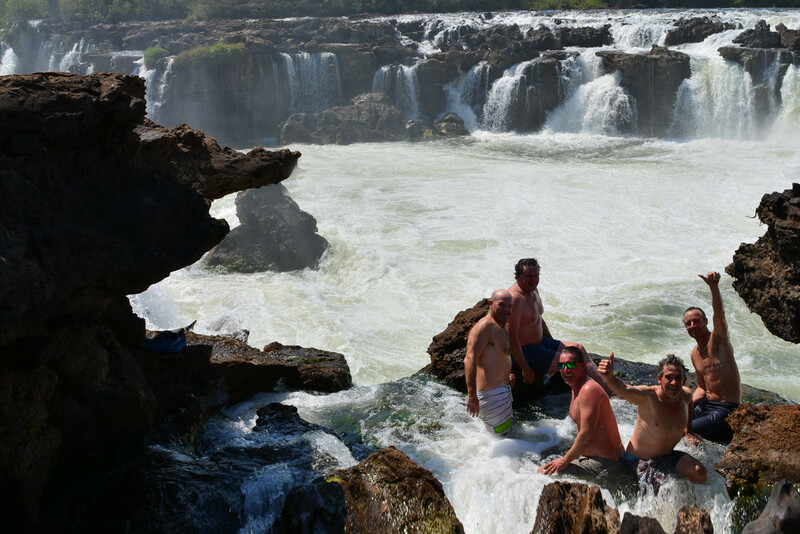 Here, the Zambezi is narrow and has deep fast flowing water, with cascading rapids and lots of black volcanic rock. 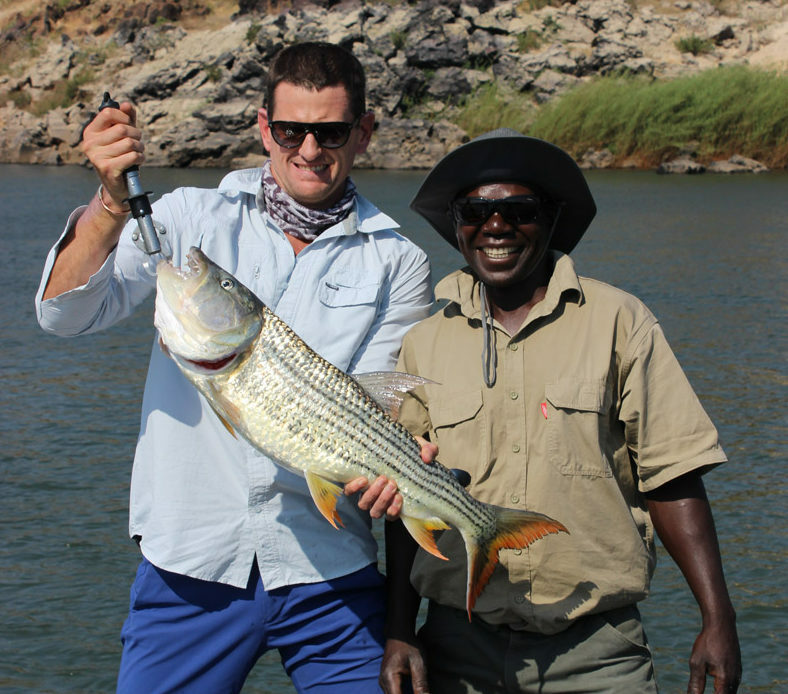 The fishing at Sioma Falls is excellent and you stand a good chance of catching a big tiger. 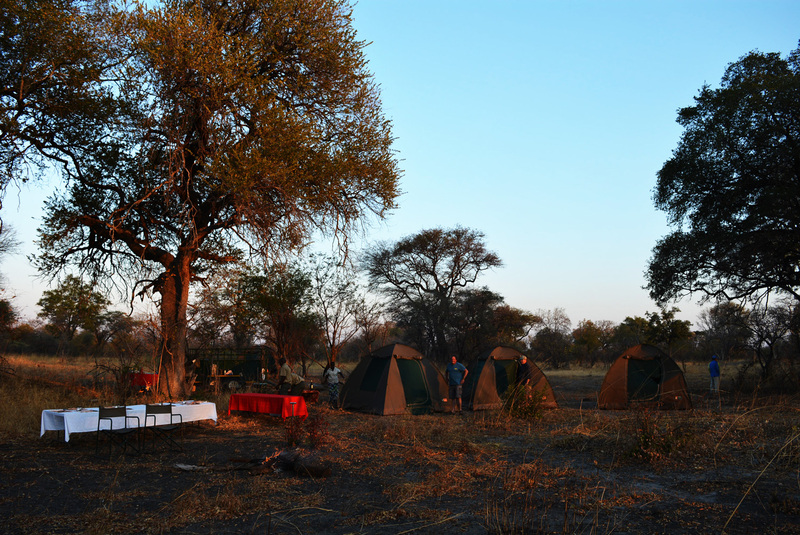 The camp overlooks an expanse of “coral white” beach and the basalt black cliffs which harness the mighty Zambezi River. 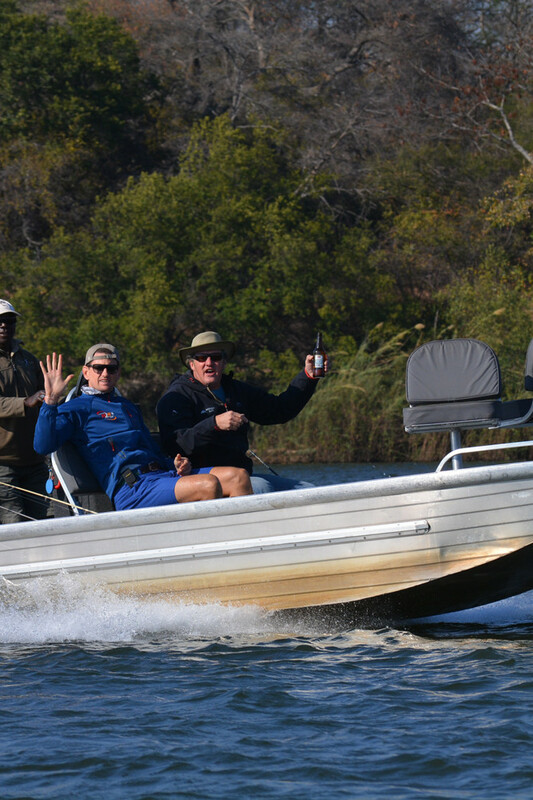 After breakfast, you will head out with the boats again for the fishing journey downstream back to Mutemwa Lodge from the Sioma Falls. 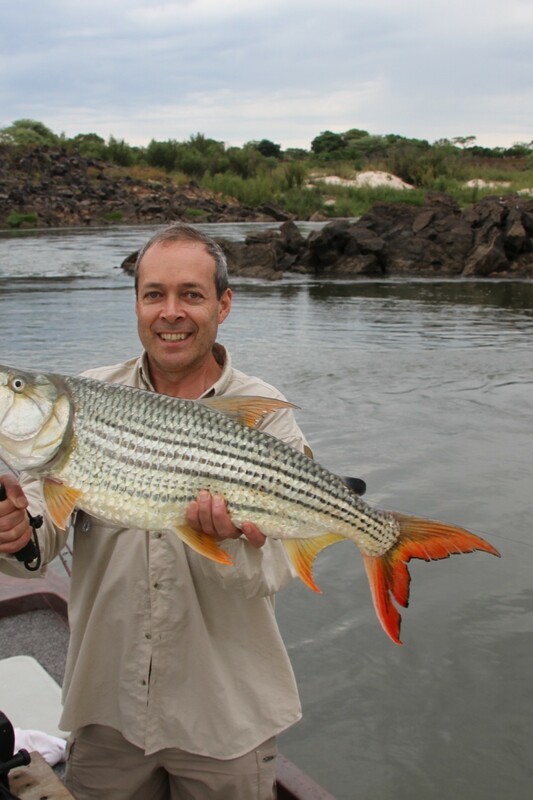 Fish those great spots that hit on the way up and then arrive in the late afternoon, where you will have a chance to shower and freshen up at the lodge before enjoying your last evening on the Mutemwa deck and boma. Interested in booking this package? All accommodation for 5 nights. All meals and teas and coffee. 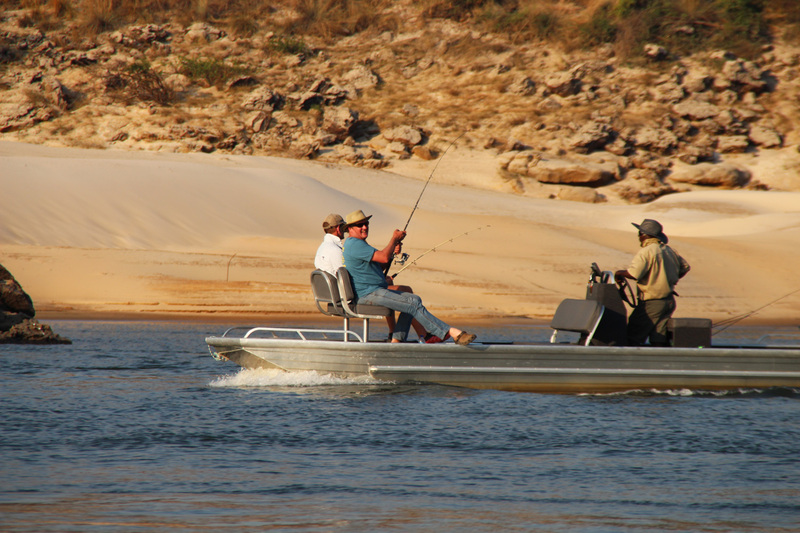 Unlimited guided fishing with unlimited fuel and fishing tackle usage. Laundry. 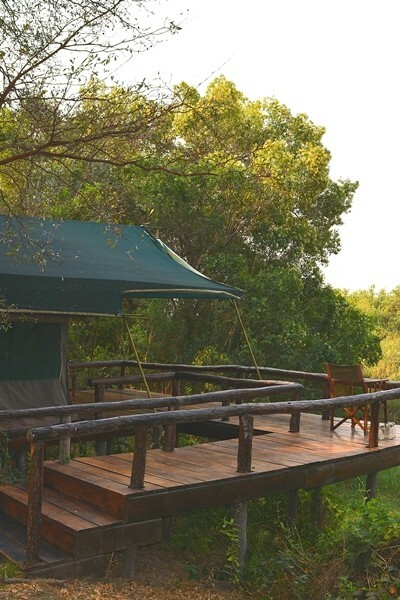 Return road transfers from Livingstone Airport. Special evacuation cover. 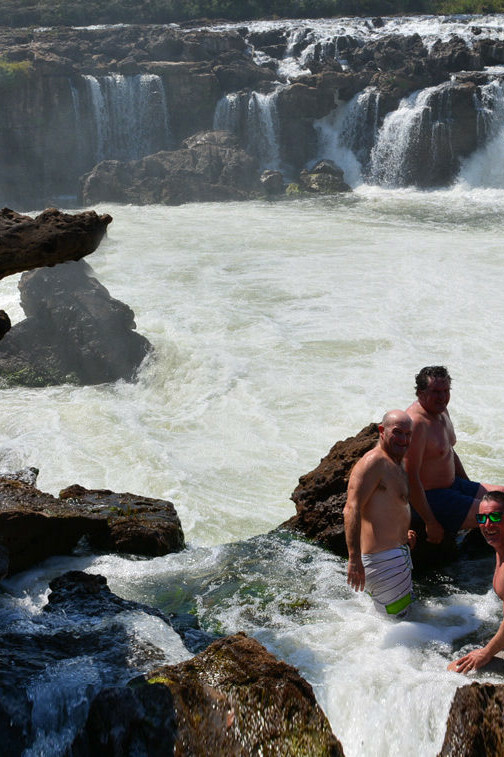 Have you ever wanted to ditch the tour and really explore? 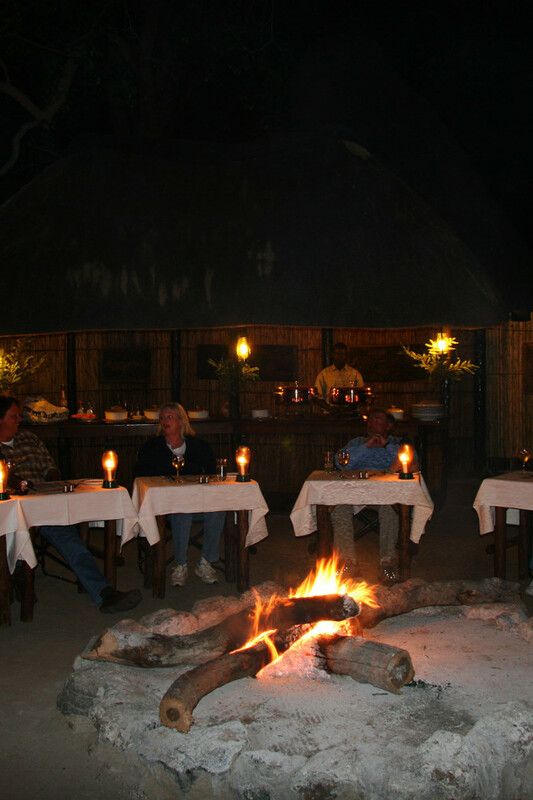 Ever felt that visiting Southern Africa should be like how the old storybooks describe it – wild and remote…the real thing! 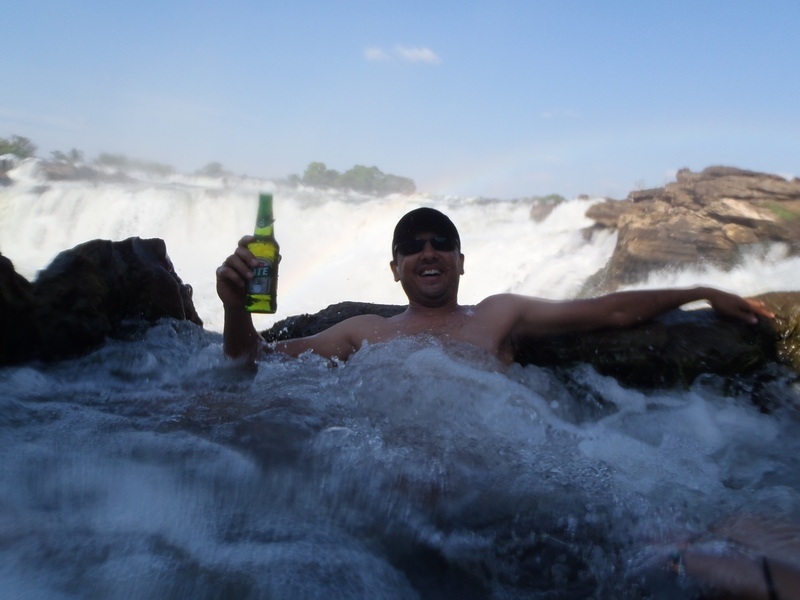 If this is you, contact Kathy and let us start planning your Southern Africa safari.